Newcomer Family Obituaries - Robert Forest Baugh, M.D. 1931 - 2019 - Newcomer Cremations, Funerals & Receptions. Robert F. Baugh, M.D., age 87, of Lambertville, Michigan passed away at Genesis in Sylvania on February 2, 2019. He was born on June 18, 1931 to Albert and Viona Baugh in Toledo, Ohio. He graduated from Bedford High School in 1949, after which he honorably served our country in the United States Air Force, and during the Korean War, during which he was shot down and wounded. After being honorably discharged, Dr. Baugh attended Wayne State University for his undergraduate studies and medical school. He then practiced family medicine in Detroit, Michigan. 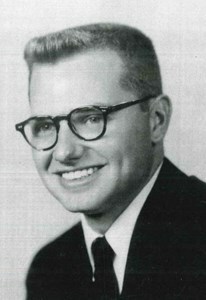 Dr. Baugh was also a volunteer physician during the Vietnam War. All who knew him, knew of his love of God, country, and service. After meeting the love of his life, Ardrea Ann, they moved to Monroe, Michigan and finally settled in Lambertville, Michigan to raise a family. Dr. Baugh was double board certified in Family Medicine and Emergency Medicine, having opened his own practice, and later working at various hospitals throughout southeastern Michigan and northwest Ohio. Although the number of lives he touched will never be known, his patients and the practice of medicine were his passion. Dr. Baugh cherished his nurses and staff, especially his “MCO girls,” without which he said he could never do his job. Those that worked with Dr. Baugh knew he was always the first with a kind word and a hug. He believed that there were no mistakes in life, but instead an opportunity to learn. His quick wit and humor touched all those who worked with him and loved him. Dr. Baugh was an advocate for top-notch patient care, dignity, and compassion. He always reminded his girls to give back to the community, and to be the voice for those that didn’t have a voice of their own, especially veterans and the mentally ill. In his spare time, Dr. Baugh enjoyed traveling and spending time with his family, which included the family’s many animals. He was the best “Horse Show Dad,” never caring whether any ribbon was won, only that his girls did their best and had fun. Dr. Baugh loved the outdoors and could always be found taking a walk through the woods, tending to his beautiful flowers, or feeding the wildlife. He was a lifelong academic and avid reader. Dr. Baugh firmly believed in learning something new every day. Throughout his life, he excelled in athletics and academics. Dr. Baugh believed that no matter what you undertook in life, you should do it to the best of your ability, and that everyone should be a well-rounded student of life. Left to cherish his memory are his loving wife, Ardrea Ann, daughters, Christelle (Kelly) and Celeste, siblings Diane, Jerry, and Ricky, as well as many extended family members, dear friends (especially Ray and Shorty), and colleagues. He was preceded in death by his parents and beloved son, Robert Devere Baugh. Dr. Baugh’s Funeral Mass will be held on Friday, February 8, 2019 at 10:00 a.m. at St. Joseph’s Catholic Church in Sylvania Ohio, 5373 Main St., Sylvania, Ohio 43560. A private burial with military honors will occur at a later date. In lieu of flowers, any expressions of sympathy or contributions may be made in Dr. Baugh’s memory to the Alzheimer’s Association of Northwest Ohio. The family wishes to especially thank the physicians, nurses, and staff at University of Toledo Medical Center, Genesis in Sylvania and Heartland Hospice for their outstanding care of Dr. Baugh. A special request from Dr. Baugh’s family is that you spread kindness, give of yourself, and touch as many lives as you can, as Dr. Baugh so unselfishly did throughout his life. To leave a special message for Dr. Baugh's family please click on the, "Share Memories" tab above. Add your memories to the guest book of Robert Baugh, M.D..
My deepest condolences for you Chris and family. I pray for comfort and healing of the hearts. Ardria, Kelly, and Celeste. I am so sorry for your loss. Bob was always so kind and always called me' Ronnie'. I know he loved my mom, his sister, very much. I do not see a viewing time but I see a mass time and date. I am not sure if I will be able to attend mass due to some current health issues. God Bless you all and may Uncle Bob rest in peace. Dr Baugh was a great guy, always had time to talk when ever I was there to check the horses or dogs. He worked very hard for his family and patients. I rode with Celeste and Christelle at Hunters Run and spent time hanging out with Celeste at her home playing with their animals and swimming. Odd story but, I remember one day at Celestes home going upstairs to go to her room and walking through what I guessed as the t.v room, Mr. Baugh was watching a t.v show. I stood next to his chair watching for a minute because it looked weird and interesting. He looked over at me and said "If I let you watch this your dad may never let you come over again." Then he laughed. Little did he know the content my dad let us watch lol! I finally got to watch that show for the first time 6 months ago and realized it was the exact one he was watching that day. Now every time I watch Twin Peaks I'll think of him. ?? He was always so kind when I was over to hangout with Celeste. He was always at Hunters Run for the horse shows, and always supportive of the girls. Christelle, I am saddened by your loss. It sounds like your dad was someone I would have liked to know. Hugs and prayers! A wonderful man... Met Dr. Baugh when doing work for the family, on the homestead in Lambertville. Became a neighbor and enjoyed the company of a trustworthy good neighbor, and family. Always enjoyed seeing how the Baugh family lived together, and cared for the animals at home. The Baugh's also opened their home to Grandma later in her life when she needed help. A kind word was spoken, every time when we met at the fence. Always thought of Dr. Baugh as a man of high intelligence, and love of country. Will keep you all in our prayers... Thank You for your friendship.